North of Cabo is Baja’s newest gem and it might just outshine the rest. Just opened in 2016, Rees Jones, the architect and designer of Danzante Bay explains the elevated, island-like 17th hole par 3 “I have no doubt that number 17 will be one of the best holes in the world”. 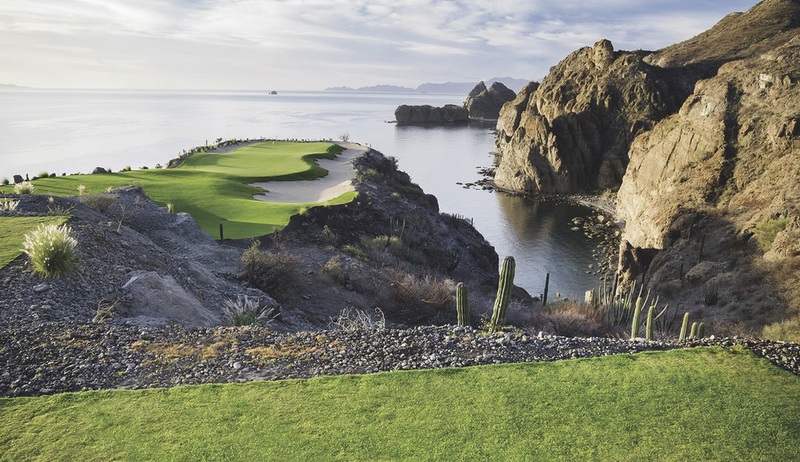 The course winds you through stunning vistas of the Sea of Cortez, dubbed by Jacques Cousteau as the “Aquarium of the World,” as well as the beautiful mountain range of the Sierra’s. A stunner to say the least and a must-do for the avid golfer. If you like Tom Fazio designed courses, this is a must for those of you who have access to private clubs. 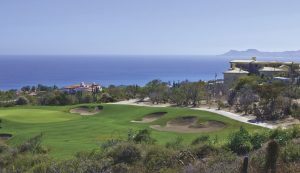 Querencia, established in 2000, has improved the on and off course experience for players and is home to one of Cabo’s most challenging courses. Elevation changes, over-canyon looks off the tee, and narrow fairways (in some cases), make this a course the low handicapper will want to conquer. Querencia has always been known for its exciting greens as there are hidden breaks and some multiple tiers. A real feel for the flat-stick is needed to make par on each hole. 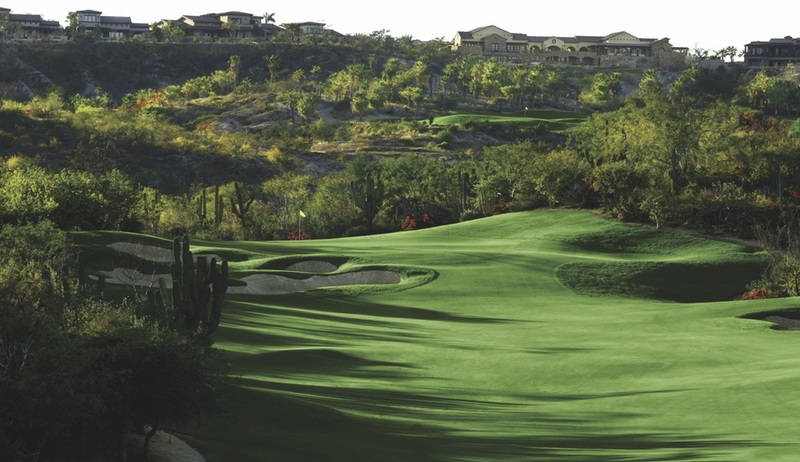 New to the scene and racking up rave reviews is Jack Nicklaus’ newest Baja gem…Quivira. 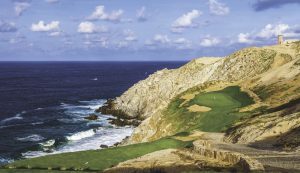 On the Pacific Side and sure to test any level of player, Quivira boasts dramatic cliff-side landscapes and multiple oceanfront golf holes. It’s not uncommon to be playing while whales breach in the Pacific Ocean or fish jump out of the water. The on-course experience is unique in its multiple comfort stations where players can enjoy tacos, quesadillas, sliders, and of course, a few adult beverages. This 18-hole composite course made up of nine Greg Norman designed and nine Jack Nicklaus designed holes is a favorite among locals and frequent visitors. 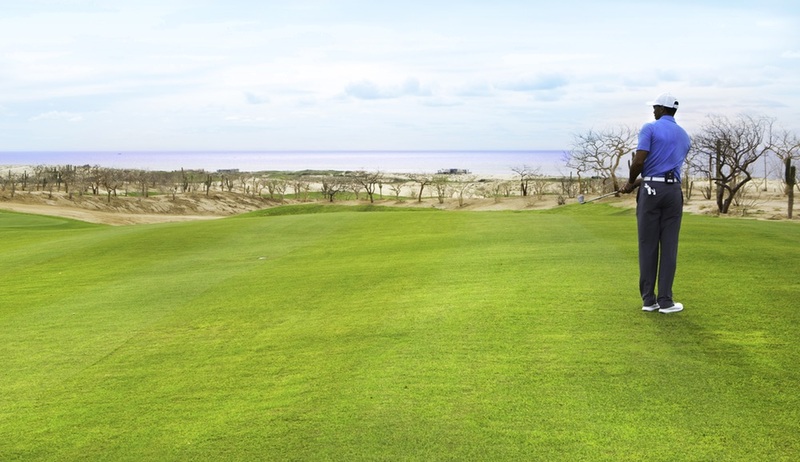 With both challenging and forgiving holes, the average golfer can get around the course comfortably and enjoy the numerous oceanfront holes and elevated vistas. Not to mention, comfort stations with food and booze every 4-5 holes make the experience fun for all levels of players and all types of groups. 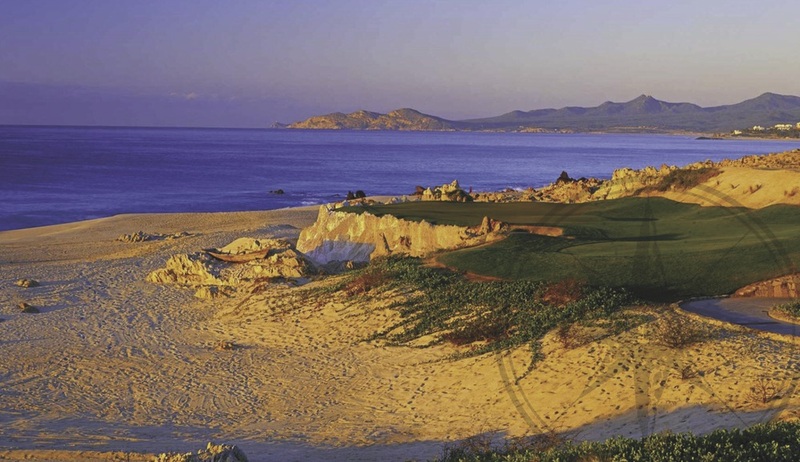 Cabo will benefit from two new courses coming soon, Rancho San Lucas by Greg Norman and Fred Couples at Maravilla (Montage). Stay tuned for more information on each course, respectively.